Many pastors today, especially in the West, are struggling in isolation without a pastor to nurture their souls. Sadly many of these, unless they encounter a radical change, will not finish the race. Augustine might just convince them that they, too, need a shepherd as they shepherd others. In the same vein may other pastors learn from Augustine and reach out to other pastors. It should thus be understood that Augustine as Mentor presents the man himself as a mentor to not only his historical mentees, but also to the modern reader. I felt somewhat of a kinship to the man myself, and in a summarizing way he stands out as a humble man, yet a man of conviction, two rare qualities for one man to possess simultaneously. Finally, Smither focuses most of his attention on Augustine’s mentoring style. Protestants may raise an eyebrow when they find out that most of the humble theologian’s discipleship took place in the context of the monastery. While Augustine as Mentor does not go into great detail on the theology of monasticism or the differences between medieval monasticism and the monasticism of Augustine’s day, it does tell us that “the monastery served as an indirect training center for monks who would eventually be ordained,” and that, “more and more [Augustine] recognized that service to the church was a task pleasing to the will of God, to which the comfortable tranquility of monastic communities must always give place.” In my own view, based on the descriptions in the book of Augustine’s view of monasticism, it would seem best to describe such a community as a “communal seminary” rather than a monastery. 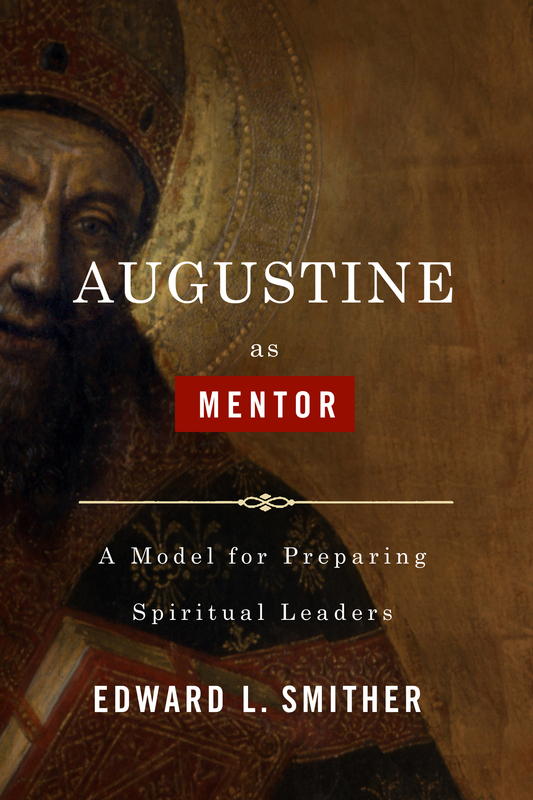 While Augustine did certainly have natural leadership abilities, it was the power of God that made his mentoring successful. Augustine’s primary focus was training the clergy in the Scriptures, both from exegesis and from philosophical apologetics education. After formal teaching, the discussion would continue around the monastery’s dinner table, where frequently, visitors would share in the discussion as Augustine was known for his hospitality. The work of the monastery was taken care of by the monks with a “provost” position being assigned on a rotating basis—a position Augustine himself submitted to. This isn’t to say that Augustine was a weak and mild passive figure however. Augustine regularly participated in disciplinary action against immoral clergy for restorative purposes. After all “Holiness was, in [Augustine's] eyes, inseparable from the clerical state.” The bishop’s greatest contribution perhaps was his final step of sending the clergy out to minister in other places when their training was complete. To sum up Augustine’s philosophy of mentorship as it relates to the monastary, “Augustine culminated his monastic itinerary by effectively clericalizing the monk and monasticizing the cleric.” He advocated that his bishop/monks practice “a balance between a contemplative and an active life,” the life he lead himself. Hence, let us rather teach, with as much insistence as we can, our dearest friends who most sincerely foster our labors that they may know that it is possible that among friends one contradicts the words of another, though love is, nonetheless, not diminished and though the truth, which is owed to friendship, does not give birth to hatred. This skill was most probably demonstrated in his disagreements with Jerome. In one letter Augustine writes, “I am not only fully prepared to hear as a brother what you hold to the contrary, if something disturbs you in my writings, but I also beg and demand this of you. For I will rejoice either over my correction or over your good will.” The bishop of Hippo would have rather there not been a dispute at all between two believers if one could not carry out such a disagreement in Christian love. This is a skill and attitude I desire to learn in my own life. I found the theme of the necessity of a mentor having his own mentor(s) to be sufficiently documented and exemplified in Augustine’s mentors. Likewise , the theme of humility, and its necessity to the discipleship process was shown to be of prime importance in numerous examples. Augustine was certainly a great Christian leader, but at the same time, just a man, and this is what Smither demonstrates to all those who would seek to follow in the footsteps of Jesus with Augustine as Mentor.